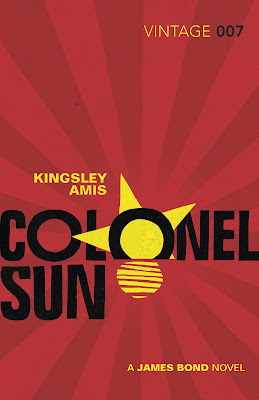 According to IanFleming.com, readers will be able to once again purchase and read Kingsley Amis' Colonel Sun, the first James Bond continuation novel written after Ian Fleming's death. Kingsley Amis' Colonel Sun, the very first continuation Bond novel, returns to print for the first time since the 1990s as part of Vintage's 007 collection. Colonel Sun was originally published in 1968; the first novel featuring the character of James Bond to appear after the death of his creator. But before it came a question; who could succeed Ian Fleming and build upon a canon of such, by 1964, overwhelmingly popular novels? The choice of Kingsley Amis, a writer of considerable popularity himself and no stranger to critical acclaim, is what has led to the fondness and praise for this novel amongst so many fans of James Bond.